Visitors to South Africa should include a stop at one of the country’s most fascinating and harrowing sites, Robben Island. This is especially perfect for travelers looking for more context and information about South Africa’s conflicted past. Described as the “Island of Exiles” by author Lawrence Green, Robben Island has been a World Heritage Site since 1999 and is an important part of any visit to Cape Town. “Robben”, meaning place of seals was a name given by the Dutch settlers, who began arriving on the Southern tip of Africa in the 17th Century. The island’s remarkable setting, in the ocean foreground of Table Mountain, makes it a highly unique cultural and historical site. It’s also one of the most frequently visited tourist sites in the country, providing captivating tours of the prison and island itself. From the earliest colonization, the site offered space for a hospital site and mental institution to a military base but is far more famous for its role as a political prison during Apartheid and the place where Nelson Mandela was incarcerated for 18 years of his 27-year prison sentence. The 19th Century even saw the island being used as a leper colony (you’ll pass by the leper graveyard during your tour). Robben Island may be geographically small, but it’s an incalculably large part of South Africa’s history, and a site not to be missed when you’re in the area. 9 km (or 5.5 miles) from Cape Town’s shores, ferries to the island depart from the V&A Waterfront, at the Nelson Mandela Gateway. There is also an excellent museum and gallery here, worth a browse before heading off on the ferry. With the boat ride, each tour takes around 3 and a half hours. 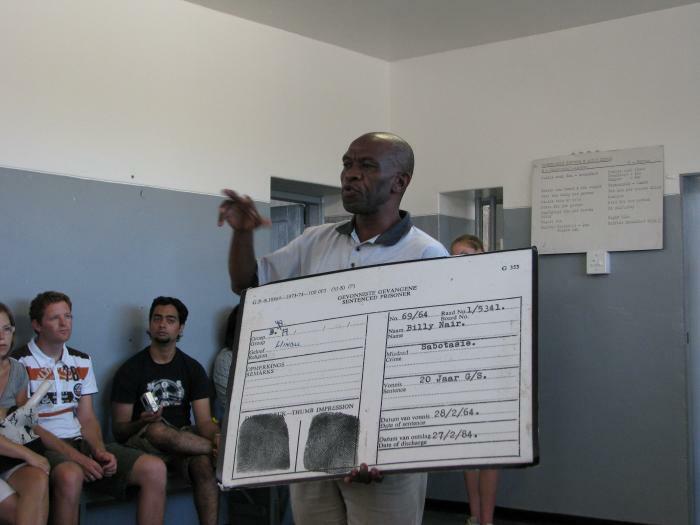 Your tour guide is usually a former prisoner, lending an intensely personal aspect to every tour and giving visitors an excellent insight into conditions in prison. Mandela’s cell has been left untouched, and each visitor has the opportunity to stand inside. The bus tour includes a stop at the infamous limestone quarry, where Mandela and his fellow prisoners did physical labor. You’ll get to see where Mandela hid his first manuscript. The island harbor is home to over 100 000 African penguins! Booking a week in advance is recommended, but the morning tours often have cancellations, so it’s always worth calling the night before to check. The island is open all year round, although there are fewer ferries in winter – this is an excellent time to go if you’d like to avoid crowds. The island is one of the best spots from which to catch dramatic photos of Table Mountain. If you are prone to seasickness, taking appropriate medication is highly recommended, as you can be on the ocean for up to an hour each way. Pack a warm jacket or windbreaker for the ferry trip, as it can be windy and cold. Also remember to take bottled water, especially during summer. The Spring and summer months (September to February) are ideal visiting times for pleasant weather and calmer seas. R360 per adult, R200 per child. Check the official website for ferry times and book your tickets. Whether you take a morning or afternoon tour, the rest of your day can be spent exploring the Waterfront and Nelson Mandela Gateway, or some museums in the city bowl – the Iziko museums in the Company’s Garden are all worth visits for more South African history and cultural context. Just remember to put aside either an entire morning or entire afternoon for the Robben Island tour. 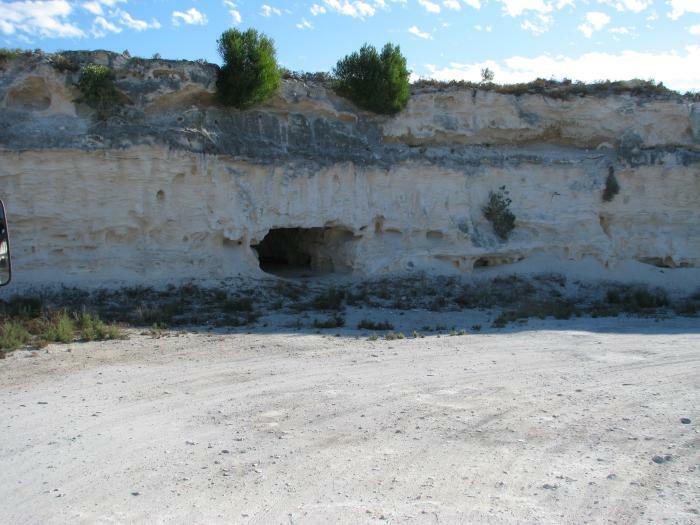 The Robben Island limestone quarry where inmates worked. 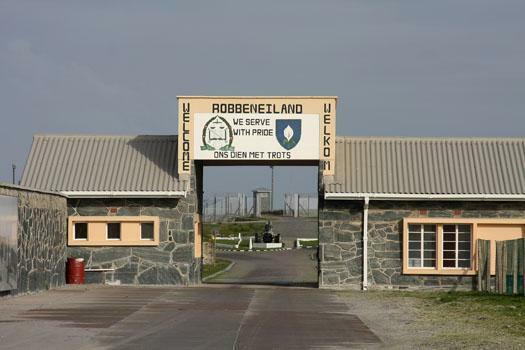 The Robben Island Front Gate marked with “We Serve With Pride” in both English and Afrikaans. Our Guide – A former prisoner. 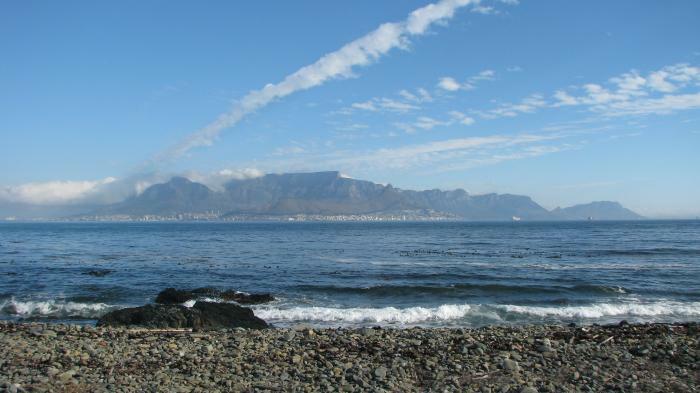 The view from the beach of Robben Island towards Cape Town.